Summer months provide the best weather for outdoor fun—but they also bring weather that can be unpredictable and sometimes volatile. 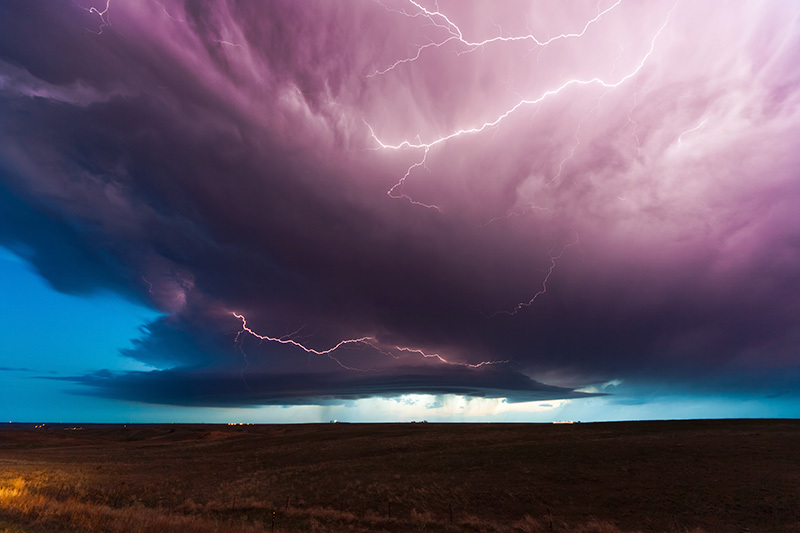 Whether it’s a summer hailstorm, a massive heat wave, thunderstorms or tornadoes, it is best to be prepared and protected against the electrical ramifications of these natural occurrences. Unplug when you can. It’s old-fashioned, but it works. If you’re expecting a thunderstorm, unplug your devices to ensure they stay safe and sound. Always use a surge protector. Often, our devices are plugged in somewhere where we aren’t when a storm rolls through. Or if your area is under a heat wave and the electrical system is trying hard to compensate, you may experience a power surge without prior warning. Your own appliances (especially big ones like HVAC systems, refrigerators, and washers and dryers) can actually create small surges, too. These smaller surges are less likely to blow out a TV or computer all at once, but they can cause smaller damage that adds up over time. Any time extra voltage runs through the system, your devices are at risk. So it makes sense to use a surge protector every time you plug in. Understand surge protection possibilities. A surge protector is a device you plug into the outlet and then plug your valuable electronics into—but watch out. Power strips do not necessarily offer surge protection! You may have devices all over your home and office plugged into power strips that offer little or no protection from electrical surges. Buyer beware: There are lots of cheap surge protectors on the market, and they aren’t all the same. For a baseline, select a surge protector with a joule rating of 600 or higher—that indicates how much energy it can divert from your devices. And look for UL 1449 Voltage Protection Ratings (VPR) or Suppressed Voltage Ratings (SVR) that are low. (The best SVR is 330.) If your device doesn’t have the UL symbol? It’s hard to say exactly what you’re buying. However, more expensive isn’t necessarily better. You probably don’t need a commercial grade, whole-house surge protection system to plug in a phone. Do your research and match the surge protection to the device it protects! Here’s a great, in-depth guide from The Home Depot with lots more details on choosing surge protectors for your devices. Finally, surge protectors can get worn down over time, too. Look for a model that signals with a light or alarm when the surge protection has been compromised, so you know it’s time to get a replacement.